Lynchburg used three separate two-run frames, highlighted each time by an RBI double, to overcome a 2-0 deficit and secure a 6-2 victory over Carolina at Five County Stadium Wednesday night. 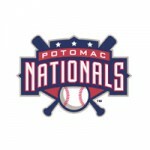 The Potomac Nationals (67-53, 29-22) survived a furious 9th inning rally by the Carolina Mudcats (54-68, 25-30) on Sunday night at Pfitzner Stadium to capture a 7-6 victory in the series finale. Kevin Heller singled in Reed Gragnani with the bases loaded in the bottom of the tenth inning to give the Salem Red Sox a 4-3 victory over the Carolina Mudcats at LewisGale Field Thursday night. The Carolina Mudcats used five-run second and third innings to break open Wednesday’s afternoon affair in a 13-6 win over the Salem Red Sox at LewisGale Field. The Carolina Mudcats used 14 singles to post five runs in a 5-1 victory over the Salem Red Sox Tuesday night. Mudcats Adam Plutko was outstanding from start to finish in the victory. 3B Oscar Tejeda gave the Potomac Nationals (58-46, 20-15) their second straight walk-off and fourth straight win with his 11th inning home run to defeat the Carolina Mudcats (48-56, 19-18) 6-5 on Sunday night. 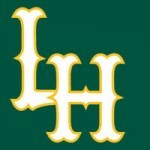 With the tying run at third and the winning run at second base in the ninth inning, Emerson Landoni lined a baseball up the middle, but the pitcher Grant Sides slowed it down with his mitt and Yhoxian Medina made a great backhanded play behind second base to throw out Landoni and give Carolina a 4-3 victory over Lynchburg. Led by Jose Martinez’s 3-for-4 day with two RBIs, three different Hillcats had three-hit performances in a game where Lynchburg held on against the Carolina Mudcats for a 5-4 victory at Calvin Falwell Field Monday night. 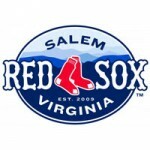 The Salem Red Sox beat the Carolina Mudcats 5-1 at LewisGale Field Wednesday night. The Potomac Nationals’ (35-29, 17-17) comeback attempt proved not enough in Game Two on Tuesday evening at Five County Stadium as the Carolina Mudcats (28-35, 14-20) got by the visiting club 6-4 to even the three-game set and force a rubber match. Jonathan Roof’s 7th inning home run gave the Salem Red Sox a 4-3 lead which would be enough for the Sox 4th consecutive win, and third straight to start the series against the Mudcats. A tight game through six innings became a laugher late, as Carolina dismantled Salem down the stretch in an 11-3 Mudcats victory, snapping the Red Sox’ three-game winning streak. For the second straight night, Lynchburg took a lead into the ninth inning, but the Carolina Mudcats overcame it with a late rally to complete a sweep of the Hillcats, 8-7, at Calvin Falwell Field Wednesday night. Wes Parsons tossed seven strong innings, striking out six in the longest start by a Hillcats pitcher this season, but Lynchburg couldn’t hold a 3-2 lead entering the ninth inning and eventually fell to Carolina, 5-3 in 10 innings, at Calvin Falwell FieldTuesday night. Daniel Carroll hit his second home run in only 12 at-bats since joining Lynchburg, but Carolina used three home runs of its own to coast to a 10-3 victory over the Hillcats Monday evening at Calvin Falwell Field.